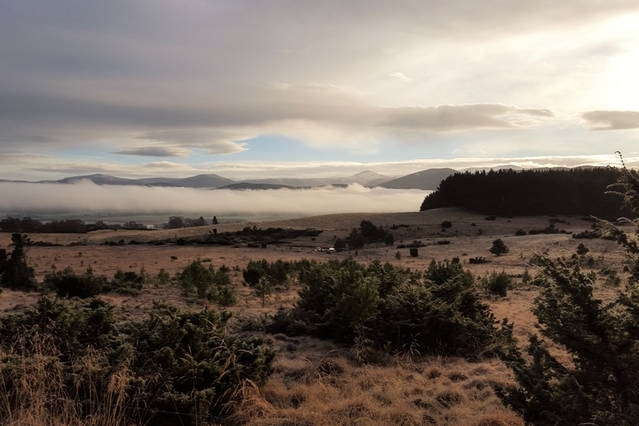 Prepare to arrive at Drumuillie Grange near Aviemore in the heart of the Cairngorm National Park with its great panoramic MOUNTAIN VIEWS. 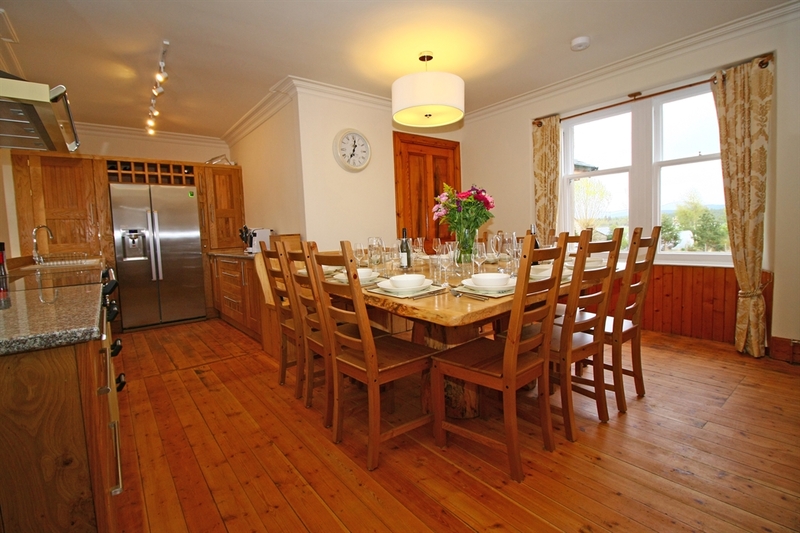 You’ll love the fire pit, BBQ, SAUNA, WiFi, large garden, huge kitchen and entertaining spaces. The bespoke wooden designs and linen is unique. Wood burning stoves enhance the three large reception rooms. Well behaved dogs are welcome. 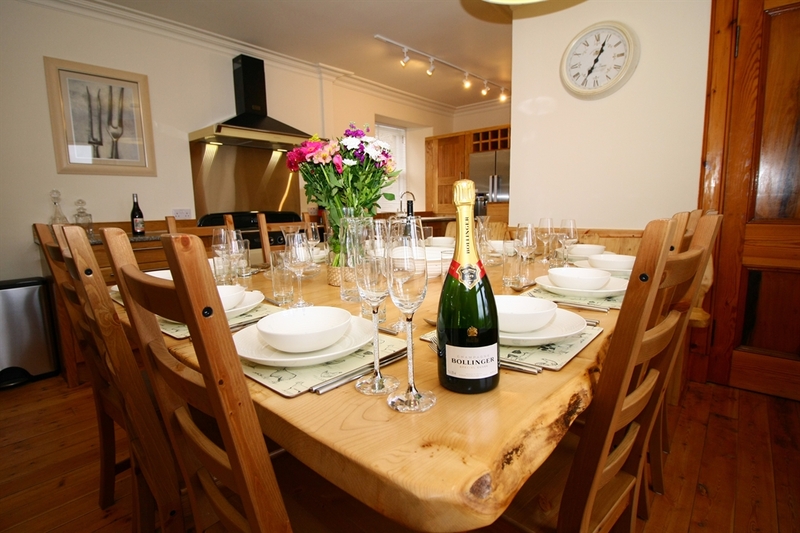 Drumuillie Grange is ideal for a family gathering or group of friends (upto 12 people) who want to explore this fabulous area. Highchairs and cot are available. Drumuillie Grange is ideal for a family gathering or group of friends (upto 12 people) who want to explore this fabulous area. 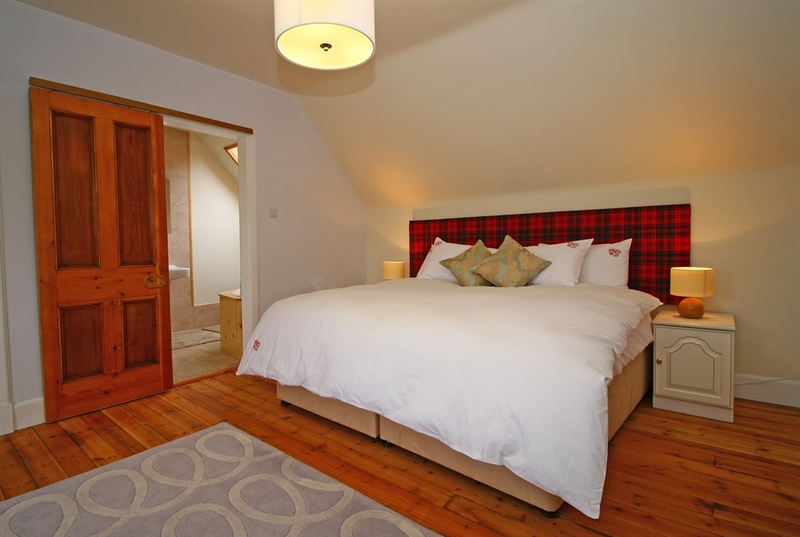 This spacious 18th Century farmhouse has been recently renovated and modernised to a very high standard offering a boutique experience in a quiet rural location. 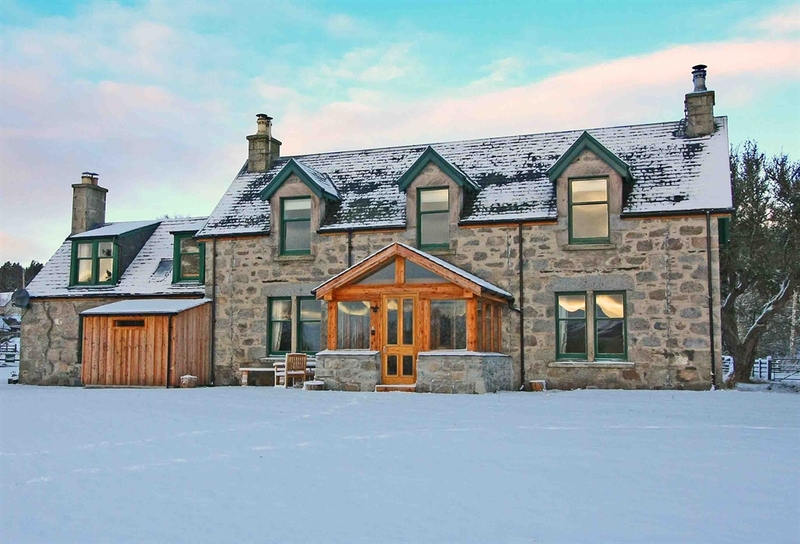 The robust high specification interior allows you and your friends or colleagues to meet, play and relax in the highlands, shoot, fish, mountain bike or explore and then return to the luxury of Drumuillie Grange to entertain and relax. Retire to the sumptuous bedrooms or stay social in the three large recreation rooms or simply chill out in the large SAUNA. 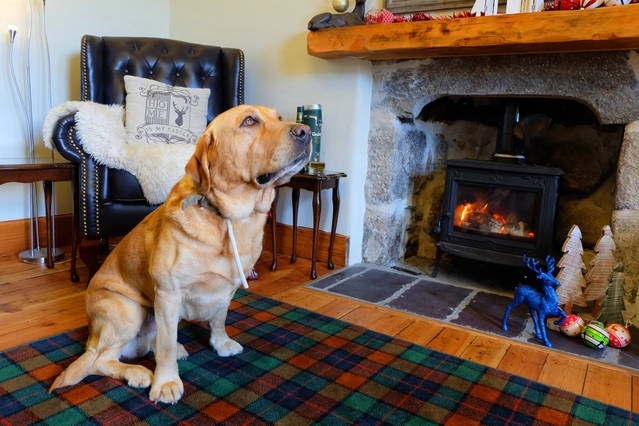 Throw a log on one of the, THREE LOG BURNING STOVES (wood provided) and surf the web (WiFi throughout) or enjoy your choice of entertainment on the Smart TVs, stereo (with docking station) or games consoles (Xbox & Wii). The ultra modern, efficient, spacious well equipped kitchen is ideal for entertaining families, friends and parties. The bespoke massive kitchen table is the hub of the house. 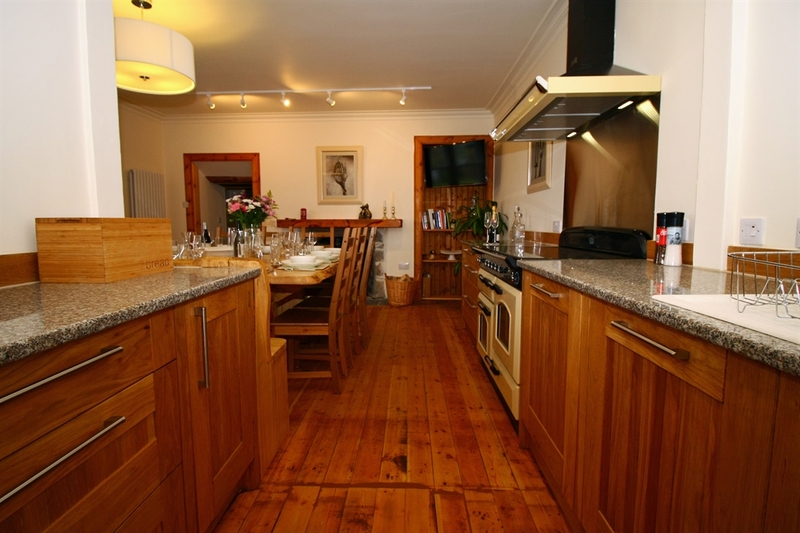 Drumuillie Grange provides you with a beautiful base for your holiday in the Scottish Highlands. 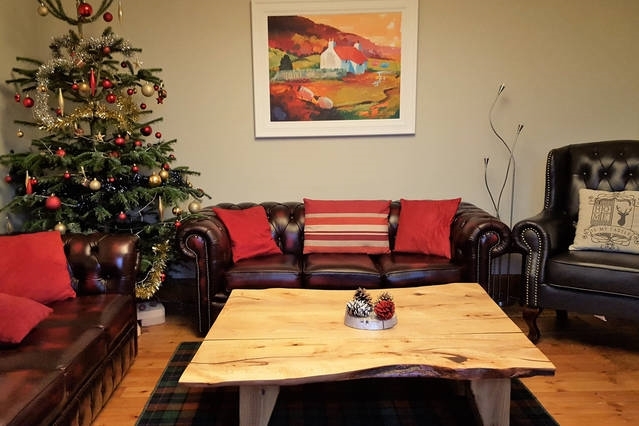 Beautiful in location and scale, Drumuillie Grange is ideal for a family gathering or group of friends who really want to explore this fabulous area. 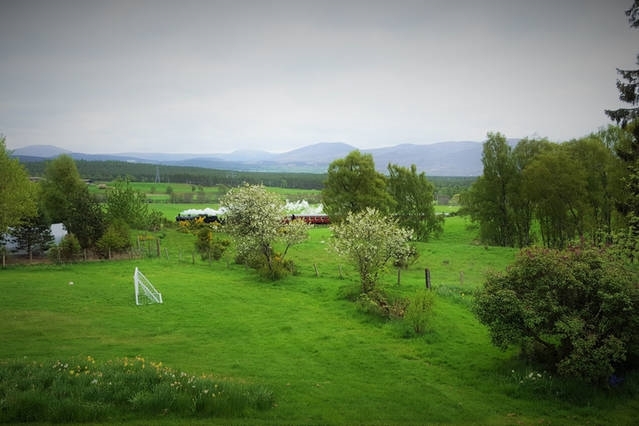 Drumuillie Grange boasts breath-taking mountain views across the Spey Valley to the Cairngorms. 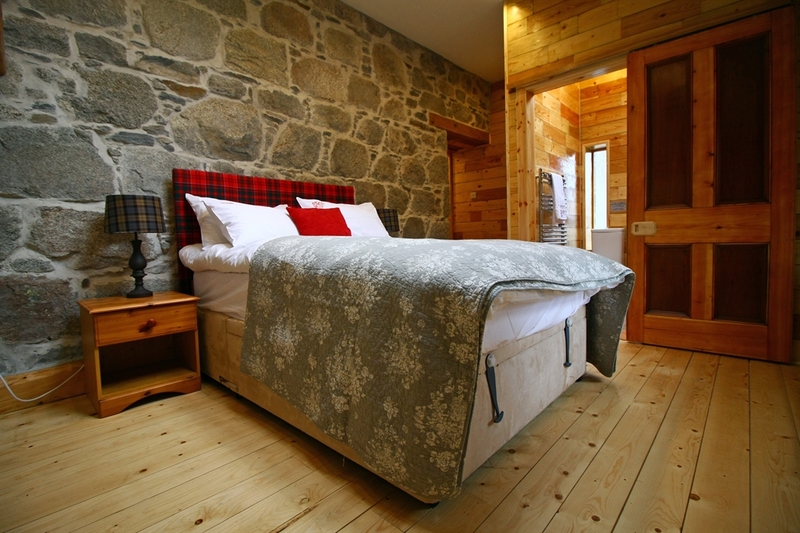 Plan your route from the warmth of the south facing sun room whilst gazing over the Munros. The house is set in an acre of garden and has access to 10 acres of adjacent woodland to explore. 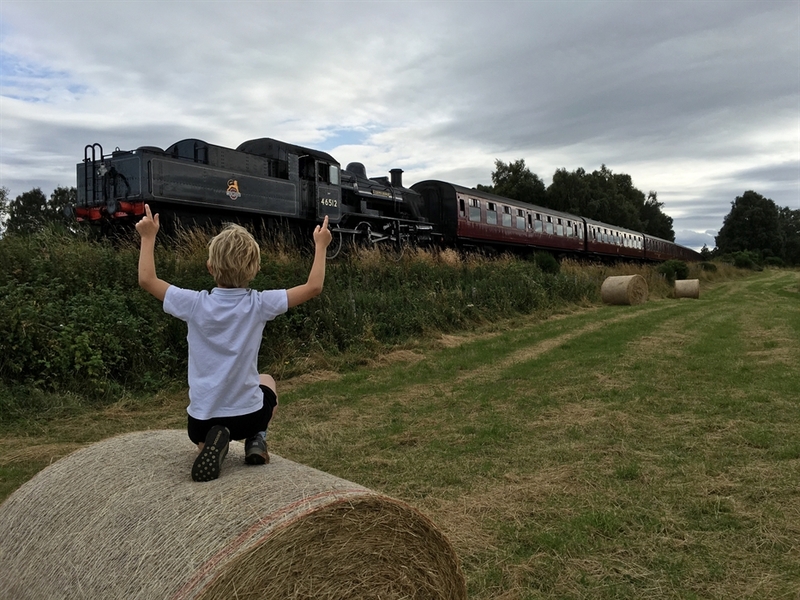 We can organise a wide range of guides, from stalking, fishing or shooting, to climbing, mountain biking or canoeing, to horse-riding, quad-biking or whisky trails. Outbuildings provide space for mountain bikes, fishing or skiing equipment. Sleep and recover on Drumuillie Grange's own range quality monogrammed Egyptian cotton bed linen; pamper yourself and unwind in the luxury of the Drumuillie Grange bath robes. There is a play park for children, firepit and BBQ area for outdoor dining. Drumuillie Grange is heated by a top of the range ETA Biomass Boiler burning responsibly sourced timber, boosting its renewable credantials. There is ample parking for six or more cars. We look forward to welcoming you to Drumuillie Grange.